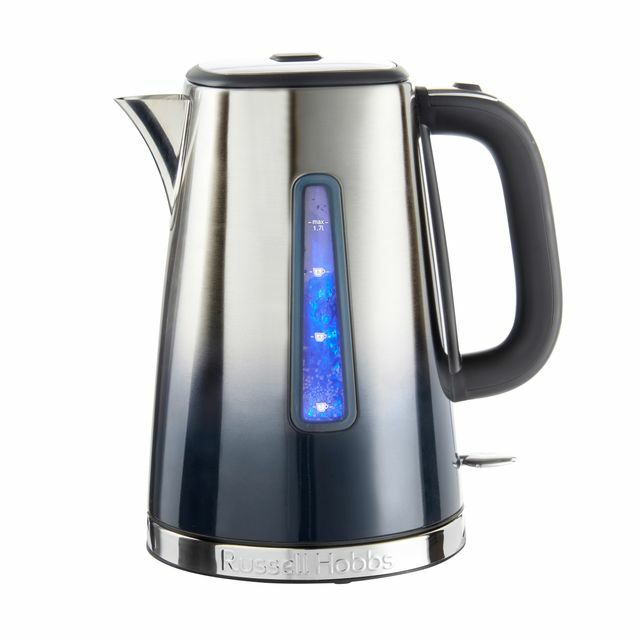 Get your morning off to a great start with this stylish midnight blue kettle from Russell Hobbs. Its 1.7 litre capacity can make 7 drinks at once, just in case one cup isn’t enough of a caffeine kick. It’ll be ready and waiting by the time you’ve fetched your favourite mug from the cupboard and grabbed the milk from the fridge too, because of its powerful 3000 Watt capacity and rapid boil feature. The 360 degree pivotal base means you’ll never be fumbling around for the handle when it’s time to pour either. So, take a moment out of your busy morning to savour the delicious, clean taste of your fresh coffee, that’s free from impurities thanks to the kettle’s limescale filter.